In the late 19th century, an egret’s head plume was worth more than gold. Feathers were the height of American women’s fashion, adorning fans and dresses, with whole taxidermy specimens topping hats. Frank Chapman, ornithologist at the American Museum of Natural History in New York, famously took an 1886 “Feathered Hat Census” on the streets of Manhattan, and identified that three-quarters of observed women’s hats incorporated parts of a variety of birds. It’s estimated that at the turn of the century, five million birds a year were killed for fashion in the United States. Stopping this slaughter would necessitate not just a shift in fashion trends, but a better public appreciation for birds. The passage of the Migratory Bird Treaty Act of 1918 — a law whose power is now being eroded by the Trump administration — was pivotal in stopping the hunting of birds for their feathers in the United States, and grew out of a grassroots conservation movement. Although limited by societal expectations and restrictions on education and careers, several Victorian women led this movement, using the resources they had. One of these was their own backyards. Excluded from academia, they published their bird observations in diaries, magazine articles, children’s books, and in some of the earliest birdwatching guides. It’s important to note that these women, who were overwhelmingly white and wealthy, did have privilege that allowed for even these outlets. 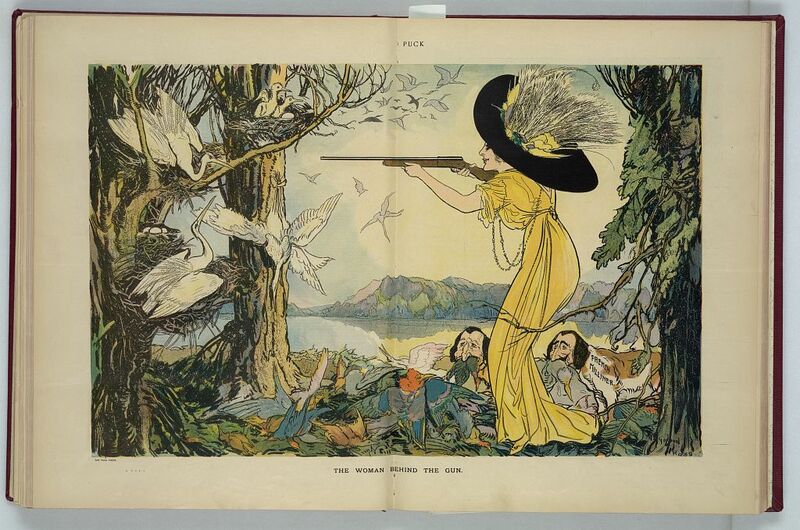 In the introduction to her 1889 book Birds through an Opera Glass, Florence Augusta Merriam Bailey wrote: “The student who goes afield armed with opera-glass and camera will not only add more to our knowledge than he who goes armed with a gun, but will gain for himself a fund of enthusiasm and a lasting store of pleasant memories.” She laid out the simplest of steps to become a birdwatcher, starting by noticing the most common birds around a person’s home, then listening to their various songs, and finally making this observation a part of daily life. Throw yourself down among the buttercups and daisies some cloudless summer day and look up at the sky till its wondrous blueness thrills through you as an ecstasy. Then catch your breath and listen, while out of the air comes a clear fluid note of rapture. Ah! there is the little goldfinch — a bit of the sun’s own gold — sauntering through the air, rising and falling to the rhythm of his own dee-ree dee-ee-ree. Reading Birds through an Opera Glass today it might seem overwrought and not terribly scientific, but by being personally present in each line of the text, Bailey transported readers through the underbrush to unexpectedly encounter a couple of chickadees, or just outside her window where the ruffed grouse of winter were drawn by her piano music. Birdwatching through Bailey’s guide is exciting and accessible, and enlivened by her deep love of nature. Birds took form as a passion when she was a student at Smith College and organized bird walks for her fellow students, while also contributing stories to Audubon magazine. 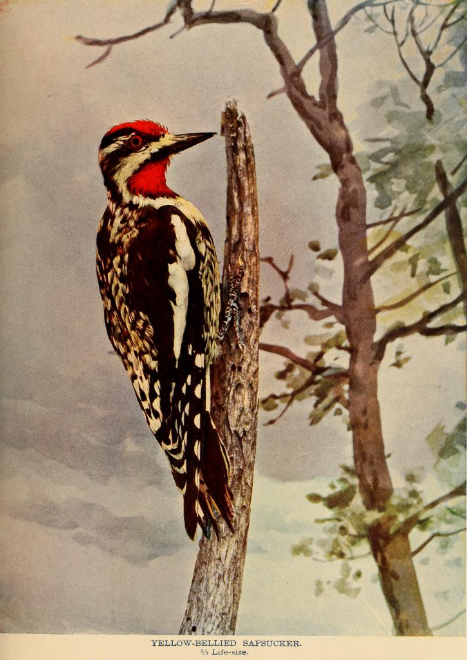 She would publish several books, including field collaborations with her husband, naturalist Vernon Bailey, and eventually be elected as the first woman fellow of the American Ornithologists’ Union in 1929. Wright’s publications were frequently aimed at young readers, but she wanted to engage a broad audience. While much of the late 19th century American conservation movement concentrated on developing national parks, authors like Wright celebrated nature in gardens and backyards; her 1906 book was titled The Garden, You and I. In 1914 she established the pioneering Birdcraft Sanctuary in Fairfield Connecticut, the first private bird sanctuary in the United States, which was named for her 1895 field book Birdcraft. These 19th-century women often engaged with popular science not because they had no interest in being professors or ornithologists, but because those paths were unavailable to them. Graceanna Lewis studied ornithology under John Cassin at Philadelphia’s Academy of Natural Sciences, yet her own teaching was relegated to “parlor classes” in private homes, never receiving a college post. 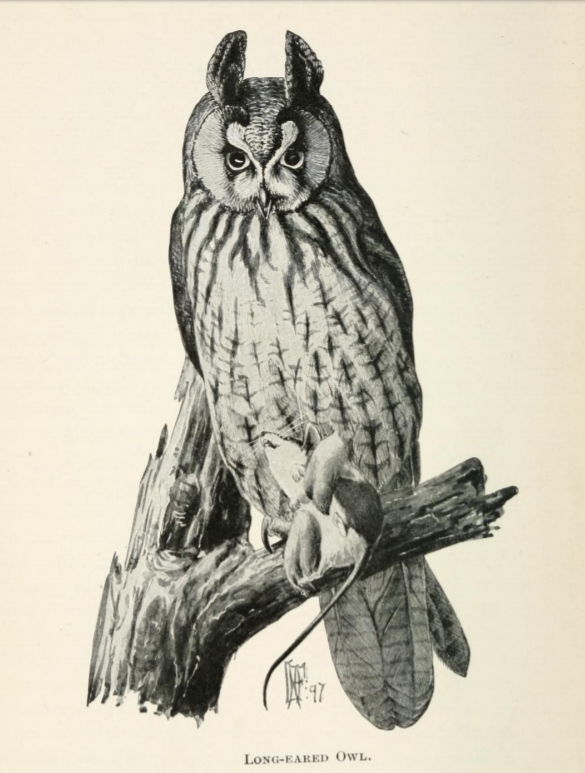 Her Natural History of Birds, published in 1868, is considered a major early work on American bird species; after Cassin died, she was unable to get support for its continuation. 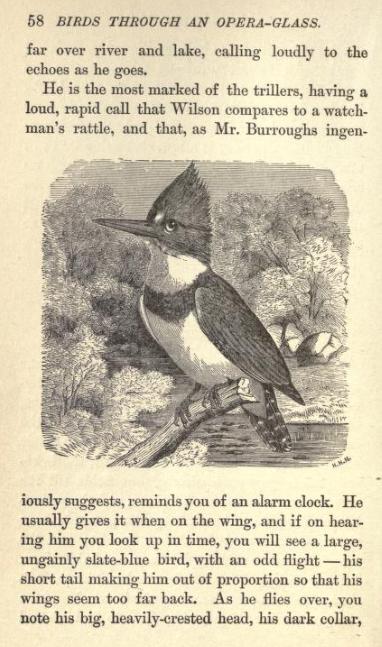 Victorian nature writing could be sentimental and moralistic, and many of these authors favored the charms of songbirds over birds of prey and “nuisance” species in their work. These qualities make their scientific contributions easy to overlook, particularly as they worked in the narrow parameters of what was considered proper for women’s literature, which in the 19th century was children’s books and genteel novels. Yet they deserve recognition for instilling a love of birds in readers, including in the parks, gardens, and backyards of rapidly developing urban areas. Not everyone has the resources to get a scientific degree, but anyone can look out the window or step outside and listen to the natural world. Robert K Musil, Rachel Carson and Her Sisters: Extraordinary Women Who Have Shaped America’s Environment (New Brunswick, New Jersey: Rutgers University Press, 2015). Allison C. Meier is a Brooklyn-based writer focused on art, history, and nature. She has served as the senior editor for Atlas Obscura, and more recently as a staff writer at Hyperallergic. She has written for the New York Times, CityLab, the Public Domain Review, JSTOR Daily, Narratively, Slate, Artsy, Fine Books Magazine, Mental Floss, and the Wellcome Collection.